ITProGuru Dan Stolts welcomes Sr. Product Marketing Manager Kenon Owens and Sr. 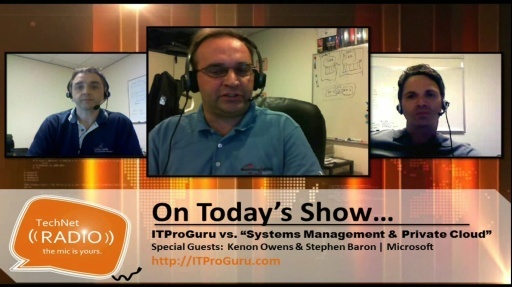 Program Manager Stephen Baron as they discuss why systems management is such a concern for IT organizations and how private cloud environments fit into this equation. In part 1 of our episode they tackle systems and applications monitoring with the help of System Center 2012 Virtual Machine Manager.